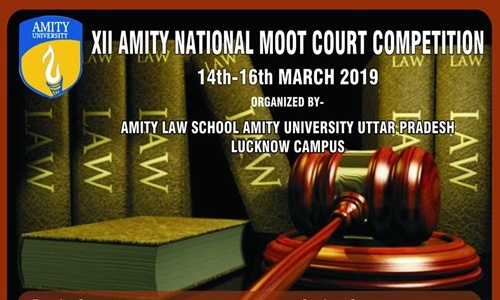 Amity Law School, Lucknow, is organising the XII Amity National Moot Court Competition. Venue: Amity Law School, Amity University, Lucknow Campus- Mango Orchard Campus. Queries can be addressed to contact.amitynational@gmail.com.